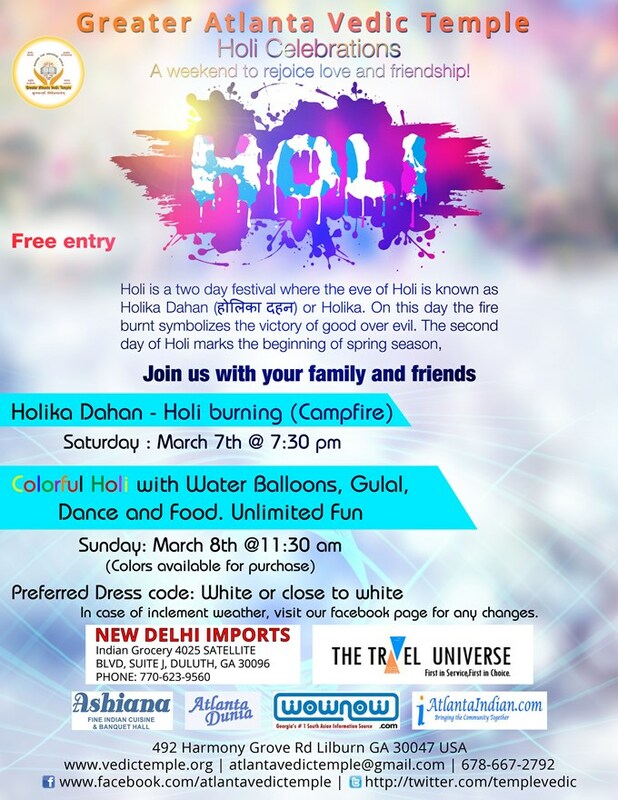 traditional Holi celebrations at Greater Atlanta Vedic Temple. Venue: Greater Atlanta Vedic Temple, 492 Harmony Grove Rd, Lilburn, Georgia 30047. Contact: 678-667-2792, atlantavedictemple@gmail.com, http://facebook.com/vedictemple, vedictemple.org.